This question was submitted from Bethany G.
I would hope that you have first tried to remove as much of the residual wax as possible with a scraper or putty knife. If a stain remains after you have scrapped the area, it’s usually an indication that the offending material has penetrated into the residual wax finish. Worse yet, there is a chance that the stain has traveled through into floor covering or linoleum. There are cases where I have found problems dealing with issues such as this. Where the floor material is battleship linoleum, and has very little sealer or wax on the area where the stain occurred. Often the stain will travel so far into the linoleum it leaches down to the sub floor and becomes permanent. The only way I can see you removing the stain at this point, is to thoroughly strip the floor with a good quality wax stripper. 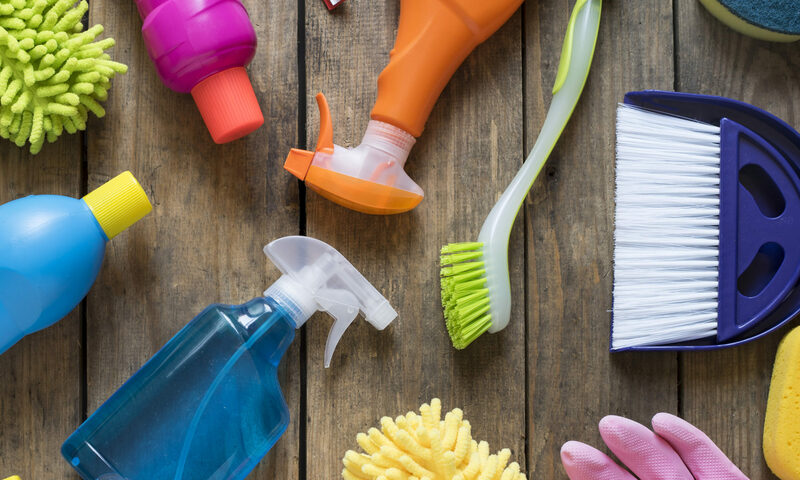 Your best chance of finding a high quality product is at a janitorial supply, as the products they sell are used by professionals. You can often get support in resolving your cleaning problems, as well as directions on the proper use of product. It’s important to follow the directions on the product you choose, and to ensure that the area is immersed with the stripping solution and allowed time to dissolve the offending stain. Some agitation with a scrub brush, synthetic pad or very fine steel wool is usually required along with the stripping solution to penetrate the wax layers and build up. There are also products available that require very little agitation. Be careful not to scrub too vigorously over the stained area, as you can wear away the top layer or factory finish of the flooring material. This will leave you with an area that is off coloured from the remainder of the floor, and be just as unsightly as the original stain. I agree with you. I find the heat from a traditional wax spill eats right into the wax of the floor. Your solution is right on, careful not to rub to hard. My solution to everybody is to use a scenty system. These system only heat the candle wax to just above body temperature, and they are food based. If spilled, simplye wipe up with a paper towel or if necessary gently scrape with a plastic putty knife.